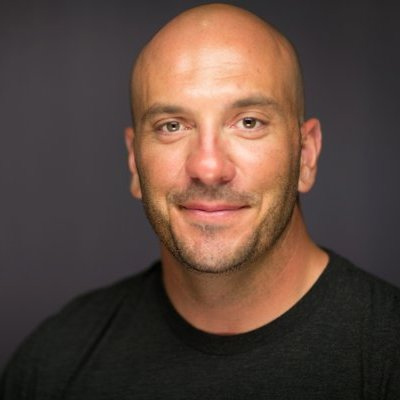 Editor’s note: This post was contributed by Matt Rissell, CEO of TSheets. Matt’s post will provide insight on topics such as leadership and business strategy, as part of LinkedIn Marketing Solutions: Financial Services’ new editorial series focused on diving deep into topics that matter most to financial marketers. People ask me all the time, “What’s the key to your success?” And honestly, I hate that question. There is no one key to success. There is no magic formula or secret code that, once discovered, prevents you from failing. Successful business leaders don’t become successful because they stumbled upon “the key”—they achieve because they work hard, make mistakes, and never stop learning. In my case, I’m a voracious reader. It’s amazing how much you can learn from a $12 book, and I’ve committed to reading at least two per month. I devour business publications like some people devour supermarket tabloids, and I constantly ask others for reading recommendations. That being said, there’s no substitute for knowledge that comes straight from the horse’s mouth. No matter your industry, the best way to foster a boundless curiosity and constantly learn new things is to meet with and learn from like-minded (and sometimes not-so-like-minded) business leaders. By going out of your way to forge those relationships, you’ll find yourself surrounded by new and innovative ideas. You’ll find yourself in an environment where everyone has something important to bring to the table—including you. When thought leaders come together, amazing things can happen. Move mountains to get that first introduction. Seriously. Do whatever it takes. You might have to work hard for that initial connection, and once you get it, don’t let anything stop you from seeing it through. Sometimes that means going out of your way (even when it’s inconvenient) to accommodate that person’s schedule. But the result is a genuine connection with a fellow thought leader—and that’s priceless. When I finally made a connection with a major CEO I have long admired, I hopped on a plane and flew to San Francisco the first minute he was willing to meet. It wasn’t convenient—I had to rearrange my entire schedule and incur the last-minute travel expenses—but that’s what you do when you get introduced to a thought leader in your sphere. True thought leaders make themselves available to share experiences, talk business, and help their peers—anytime, anywhere. And simply going out of my way to make time for those important meetings has made a world of difference in my life and my business. I’ve gained more insight from those “inconvenient” meetings than I ever could have from a book or an article. And for that reason, it’s more than worth it. When you do finally make a connection with another thought leader, whether one-on-one or at a conference, you better be ready. Don’t waste their time (or yours) by asking them about things you could have already learned online. And don’t ask what they consider to be their “key to success”! Do your due diligence by researching them beforehand and having a firm understanding of their professional and personal accomplishments. From there, ask thoughtful questions. I can’t stress this enough. You may only get a few precious minutes of their time, so make sure you show up armed with the hard-hitting questions. And don’t shy away from having a conversation, even if it’s a tough one. The meeting shouldn’t be dominated by one side or the other, and a genuine thought leader not only welcomes, but embraces, conflicting viewpoints. Remember, the meeting should be mutually beneficial. So make sure your “ask” at the end of the introduction is appropriate for the relationship. It should be big enough to make a difference in your life and your business, but not so onerous that the thought leader feels deluged. Don’t forget to offer them something in return. The goal here is to help and learn from each other. Each and every time I meet with a thought leader, I ask them, “How can I help you?” Every connection you have with a fellow thought leader should be a win/win relationship. Finally, when the meeting is over and you’ve said your goodbyes, don’t assume that your work is done. Like any relationship, the connection between you and another thought leader is going to take some work. It’s incredibly important that you continue to engage with them by email, via social media, and occasionally, face-to-face meetings at industry events. As you continue the conversation on social platforms, keep in mind that it takes more than simply “liking” and sharing posts. Great thought leaders share their experiences and expertise by engaging in important conversations. They participate directly in discussions with their followers, they ask thoughtful questions, and they offer valuable feedback in return. In this way, you can establish your credibility, spread your message, and, most importantly, never stop learning. Follow our LinkedIn Marketing Solutions: Financial Services Showcase Page for more tips on how to leverage technology, data and social engagement to reach, nurture and deepen relationships.